I actually found these little guys awhile back at Hobby Lobby and purchased one for a print to go in our study. I just recently purchased another one for some new artwork I received in the mail. I love these things! These easels are so versatile! 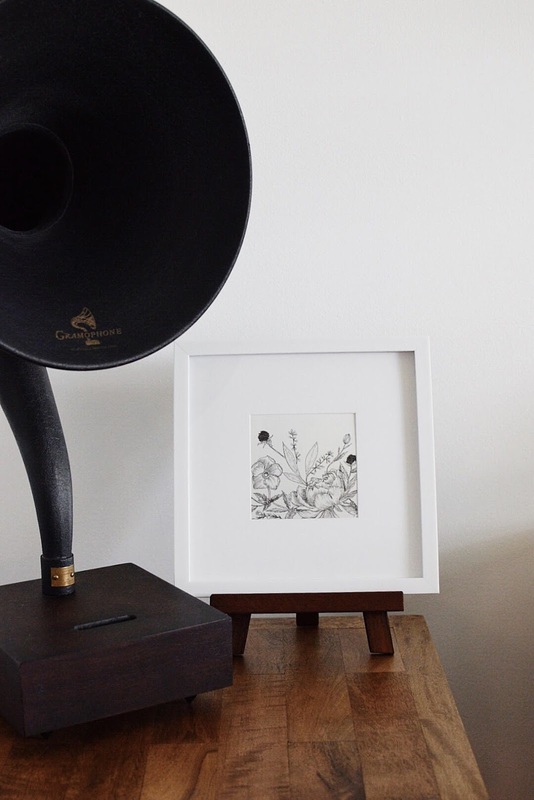 Perfect for displaying a decorative book or cookbook, photographs, or artwork! They make simple art shine like a little masterpiece! 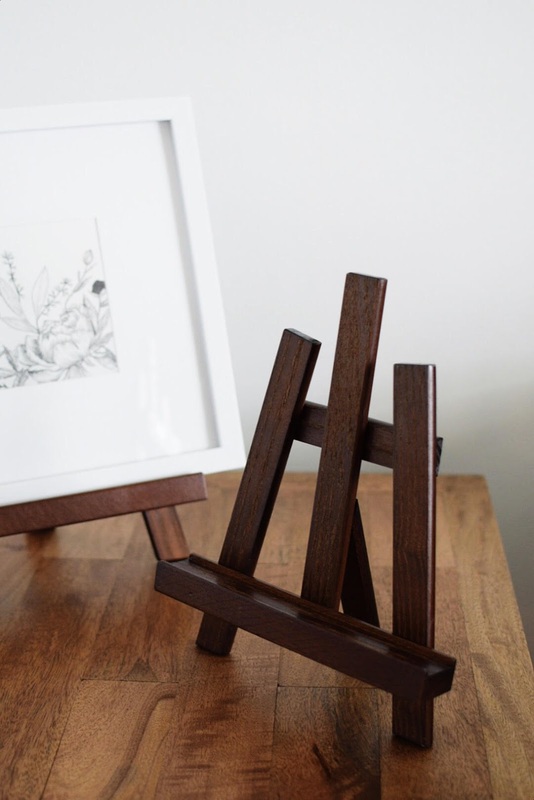 The easels come in two sizes (the small is pictured) and two colors (black and walnut). Great price point too (especially when you snag them when they are half off!). Hope you guys enjoyed my little find for the day. Have a lovely week!